Bananas come naturally packaged with fibre, nutrients, antioxidants and loads of energy. They contain vitamins and minerals and are especially high in vitamin B6 that helps glycogen (stored carbohydrates) to be released from the liver for energy. Potassium, which aids in maintaining nerve and muscle function, is another mineral found in abundance in bananas. Bananas are loaded with easily digestible carbohydrates of which fructose and glucose. This healthy blend of sugars consists of approximately 25g of carbohydrates and will boost your body with 100kcal (or 416kJ) of energy (in a medium sized banana). In a recent study, researchers compared the effect of ingesting bananas versus a 6% carbohydrate sports drink on performance, post-exercise inflammation, stress and immune function. Bananas were non-inferior with regards to all the above measures and cyclists had the same performance as with the sports drinks. Bananas however had the added benefit of a greater nutritional boost. They concluded that if you can stomach bananas on the run, they’re an inexpensive alternative to sports drinks – just be sure to take in fluids to stay hydrated. The best banana for a runner is one starting to spot. This is because a lot of the starch has broken down to natural sugars, making it both sweeter and quicker to digest. The sugars can then readily replace the glycogen stores in the muscle and the glucose burned during a run. Another reason to consume these yellow fruits – they are practical as they are easy to carry in your hydration pack, easy to peel and yummy to eat. Before the banana is over-ripe – peel and cut into slices. Freeze and save for a smoothie made with 1 banana, 1-cup strawberries, ½ cup milk, ½ cup yogurt and honey. Slice a banana over a piece of low GI toast with peanut butter and a sprinkle of cinnamon sugar. Slice a banana over ½ cup of plain greek yogurt, add some honey and a sprinkle of almonds. When having a braai, peel one side of a banana (but keep the peel on), make a slit on the side, fill the slit with blocks of dark chocolate. Close with the peel and wrap with foil. Heat on the braai for maximum 10 minutes. Open and scoop the inside into a bowl, serve with vanilla yogurt or ice cream for a delicious treat. 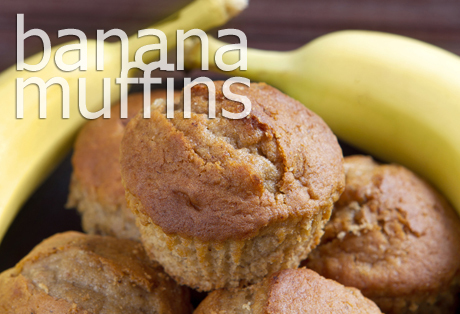 Click below for a delicious banana muffin recipe!